It’s been a while since I’ve put up a video, and I always wanted to do one of me putting together a watch movement. A bit tricky, as you are of course more nervous with the camera running, and because I can’t use the microscope whilst filming (as you wouldn’t be able to see anything), so I have to do all the things I usually do under the microscope just with the optivisor. 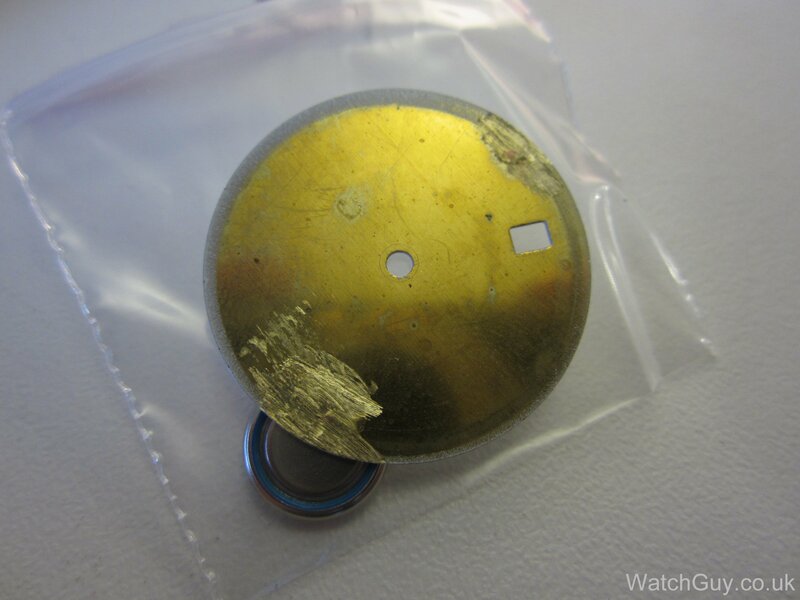 This doesn’t happen too often, but it happens… The curb pin (that is the tiny little pin that sits on the regulator and limits the effective length of the hairspring) is broken off and needs replacing. When I took this photo, the curb pin was still there, but after the regulator came out of the cleaning machine, it was broken off – bad luck! 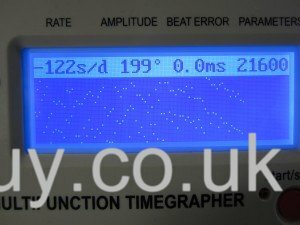 Just to show what the right lubrication in the right place can do… I was looking at a client’s Omega Constellation this morning, as he wanted a quick assessment of the watch. He had a 14 day return option from the seller, and he wanted to make sure the watch was fundamentally fine. A common problem – broken off dial feet. 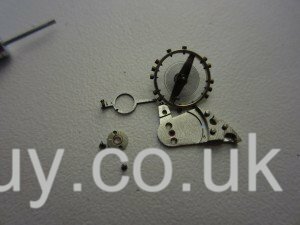 As a regular reader of this blog you will know that I dislike dial pads (the sticky bits that people stick dials to movements with) quite a bit, and I don’t have any in my workshop, and I hope I will never have. 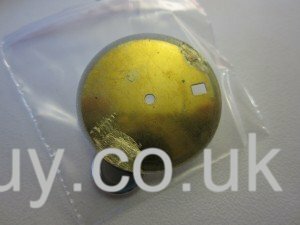 I have a couple of watches in my workshop that need new dial feet, and Neil, one of the poor clients suffering from broken feet, pointed me to a dial soldering machine on eBay. This is just what I wanted, so I went out and bought one. Not cheap, but if it does what it says on the tin, well worth the money. 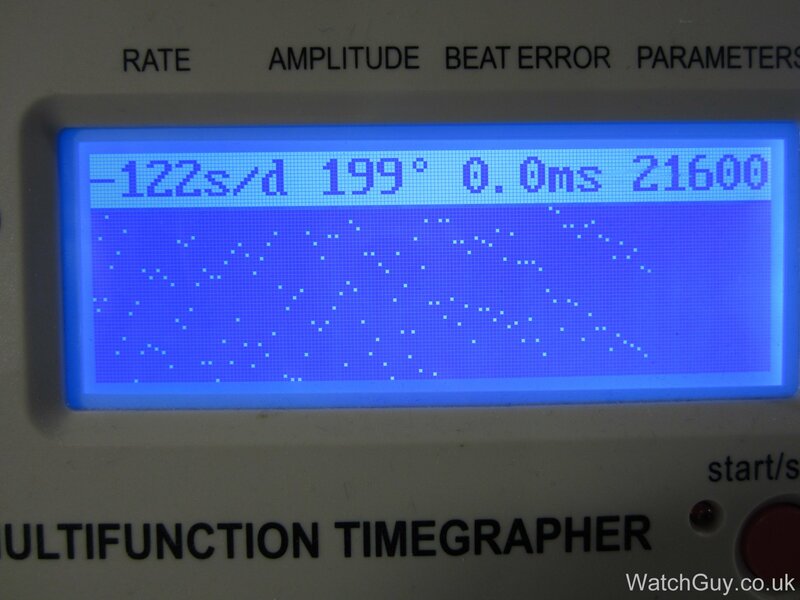 I’m a bit tired of it – every 10th watch or so, the shocksprings fly off when you open them. This shouldn’t happen, but it does. So I’ve come up with a way of opening them that is safe. 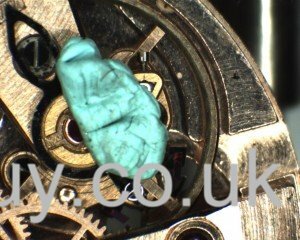 I start off by putting a tiny bit of Rodico across the hinge side of the shockspring – as shown in this photo. 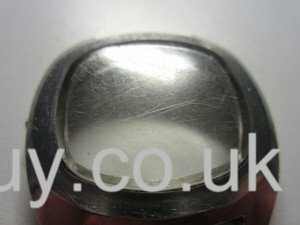 If you have a scratched round acrylic crystal, no problem – buy an new one and replace it. It’s a bit harder if your crystal has an odd shape and is hard to come by. In that case, it’s elbow grease you will need! 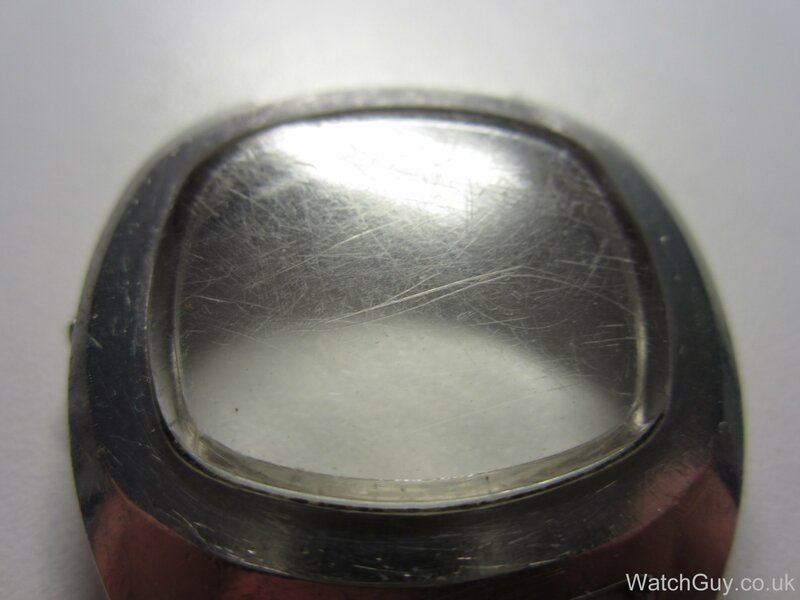 This Tissot SeaStar crystal is pretty badly scratched. Let’s see what we can do. No problem. 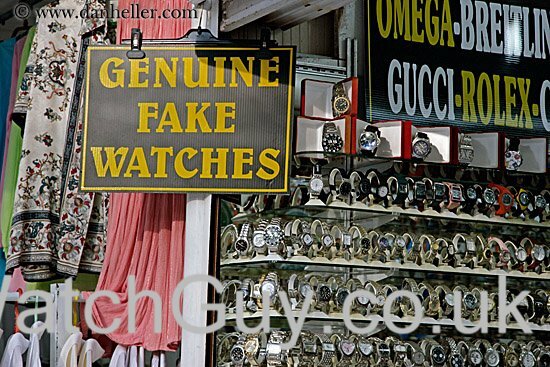 Don’t buy a fake, buy a real watch. 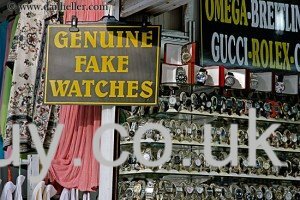 Here is a little selection of affordable watches that look great. 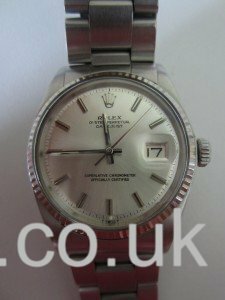 How often does a watch need a service? Most manufacturers have an answer to this question, and it tend to be around 5 years. 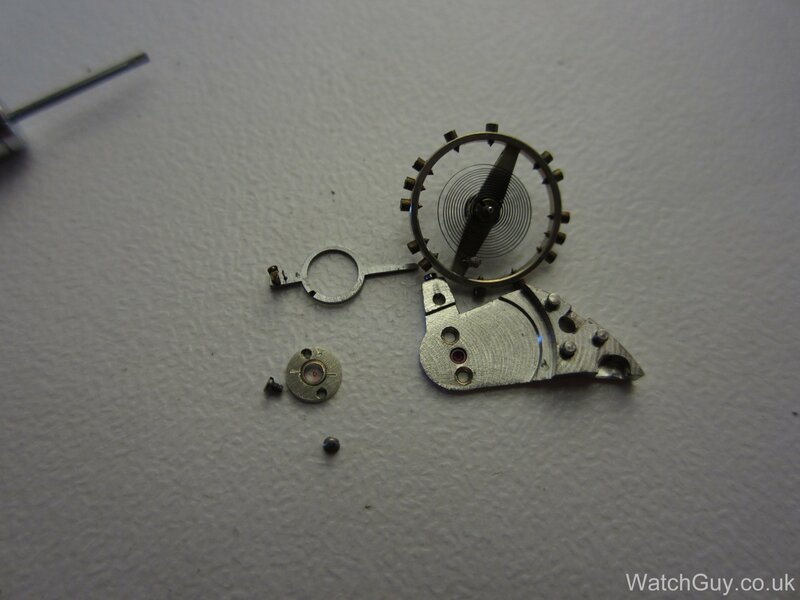 So every 5 years, you may fork out a small fortune to have your beloved watch serviced. Not a cheap pleasure, but you want to keep the value of your watch, so you just have to bite the bullet. Let’s see what happens if you don’t. This lovely Rolex Oyster Perpetual Datejust Chronometer belongs to my father. He bought it new in 1973 for around DM 800 (= EUR 400). He has been wearing it ever since, and he rarely takes it off. It goes into the shower, swimming, and wherever he goes. In the mid-80s, he forgot to screw the crown in after setting the watch, and went for a shower. 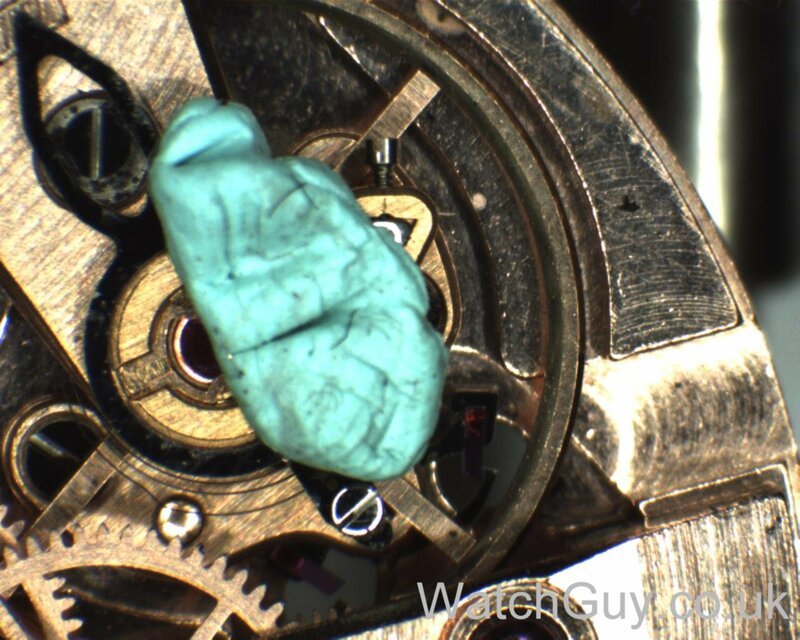 Some water got in, but he brought it straight to his watchmaker, who dried it out and serviced it. They can be a right pain – there are so many opening tools, and each manufacturer has their own. Not only that, but the opening tools can slip and leave ugly scratch marks on your watch back.